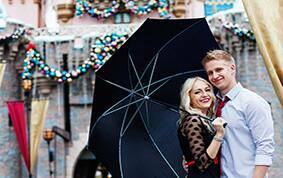 For sweet couple Jessica & Luke, the holiday spirit of giving holds a special place in their hearts. 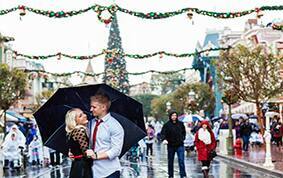 After a chance meeting at The Cheesecake Factory, the two began dating- and when it came time for a fairy tale proposal, Luke gave Jessica a present she would never forget. 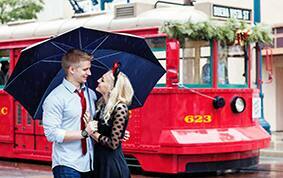 He wrapped three gifts for her and in the third box was a sparkly ring! 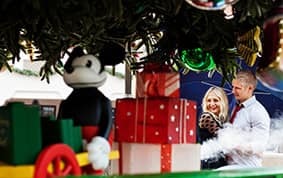 When the pair found out they'd be going to Disneyland over Thanksgiving, they were excited that it would already be decorated for Christmas. 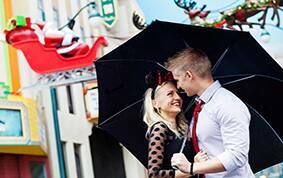 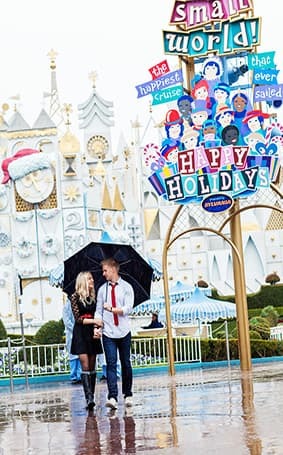 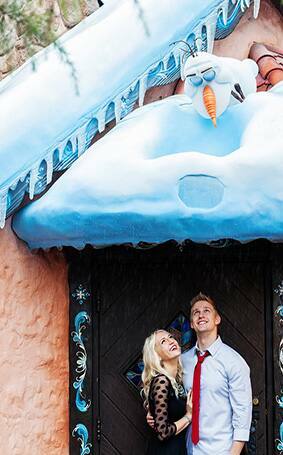 Taking engagement photos at a location that combined their love of the holiday and Disney was a dream "“ their two favorite things wrapped into one. 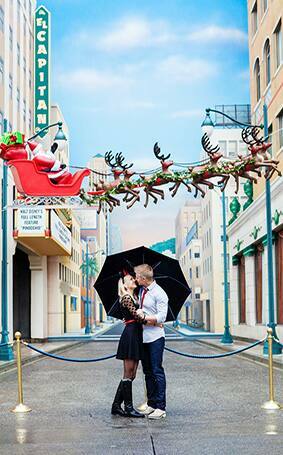 Although it rained nearly the entire day, the poor weather couldn't squash this adorable pair's love and holiday cheer!